July 2011 schedule in the Berkshires includes some of the most popular attactions and events that help make Berkshire county a top destination for cultural tourism. If you want a reservation at one of the Berkshires’ hotels, Inns, or Bed and Breakfasts (B & Bs), you’re well-advised to book early. There will be one hundred thousand tickets sold for Berkshire plays, concerts, and dance performances this month, anyway. Listed here are primarily performing arts events at the leading venues; get information on exhibitions and programs at museums in the Berkshires. If you would like to have an event considered for listing here, please use this form. 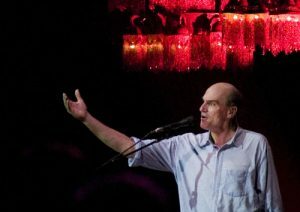 Topping the bill are three James Taylor Tanglewood concerts, including one with the Boston Pops, and the annual live broadcast from Tanglewood of A Prairie Home Companion, with Garrison Keillor. All four of the theatres in the Berkshires will be attracting audiences to a wide variety of plays and theatrical events and some of the world’s leading dance troupes will be performing at Jacob’s Pillow Dance Festival. Please note: Pittfield performances the week of August 8 will be Tues., Aug. 9 at 7pm and Wed., Aug. 10 at 2pm. Jacob’s Pillow will again offer its community-wide “open house” event on the morning of July 10, aimed at encouraging participation in dance. Community Dance Day will include free performances; open dance classes and workshops especially suited for adults and teens in a variety of movement styles including Pilates, social dance, and more; a master class and meet and greet with Doris Duke Theatre artists Kidd Pivot Frankfurt RM; music; raffles; food and drink; and other attractions. All performances, classes, events, and workshops are free.